3 Townend, CR3 5UJ. Tel: 01883 349899.
discount off specially marked items. Apply Here point: During normal opening hours. 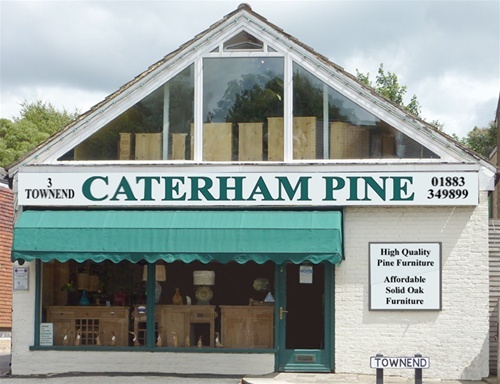 Caterham Pine has been selling furniture for nearly 25 years and has thousands of satisfied customers, many of whom come back to us time after time & recommend us to their friends and family. 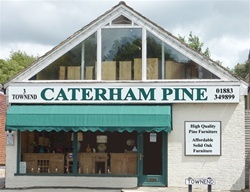 We like to move with the times and now sell as much oak furniture as pine. Numerous ranges are on display in our extensive 2,500 sq ft showroom as well as a large selection of mirrors, prints, lamps, vases & gifts including our famous ducks & penguins.